That’s right, I bought a raffle ticket for a Tesla Model S or Model X. Anyone who has read my posts knows that I’m passionate about sustainable living and solar energy. Probably about 40 years ago, my sweetheart is showing how my bicycle can pump water. Let’s have enchiladas for lunch. This solar oven was purchased in June 2006 and is still in use 9 years later. Solar panels were installed by my son in June 09. These 8 panels work so well that I can run my printing presses on them when the sun is shining. When I read the notice on Clean Technica, that a Tesla would be raffled off to raise money for ClimateXChange, I just knew I had to buy a ticket. Through the daily headlines at Clean Technica, I’ve been able to follow Tesla a couple of years. They are building electric cars in Fremont, CA. The company bought an abandoned car factory for very little, painted the interior white and where possible constructed skylights to let in more light with the idea being that happy workers will build quality cars. There are about 160 robots painted bright red that do the repetitive work including picking up and painting car bodies. Visionary Tesla CEO Elon Musk knows we must reduce our carbon footprint or face a world that will be much hotter for our grand children. Transportation contributes a huge percentage of carbon emissions. He can imagine his future grand children asking…”Didn’t you have any warning that you should reduce carbon emissions before it was too late?” What did you do about it?” I can imagine that conversation too. That’s why I’m happy to learn Tesla’s mission is “to accelerate the world’s transition to sustainable transport.” Tesla is even giving away many of its patents to other car manufacturers to help facilitate the electric car revolution. Indeed if you look at the other big manufacturers, you can see they have at least one line of electric cars in production. Since there will be a huge demand for batteries, Musk is building a giant battery factory in Nevada. Coined the gigafactory, it will boast ZERO EMISSIONS. Tesla made the decision to NOT run a natural gas pipeline to the plant. The gigafactory will be powered totally by renewable energy. I respect what Musk is doing. I love the fact that he is building the factory in the US…not China. 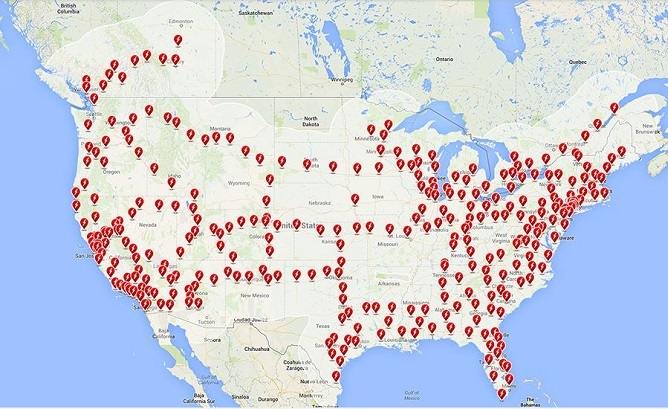 Tesla is already employing 13,000 workers and is building a supercharger network. They realize electric cars will have to be charged over long distances. The charging stations are going in at the rate of one every 24 hours, in the US, Europe, and Asia. One in 2000 are not bad odds, but there are 6 other prizes too. Most importantly, I’ll have bragging rights to say I contributed to the first bill in the nation to impose a fee on the use of fossil fuels… Climate XChange is sponsoring a bill in the Massachusetts Senate proposed by Senator Mike Barrett (S1747) which would impose a fee on the use of fossil fuels so they reflect their true cost to society, including any environmental damage and health costs. When enacted, it will help Massachusetts meet its goal of reducing greenhouse gasses 90% by the year 2050. After all we can’t all sit in a Model X until the air gets less polluted. Yes, the Tesla Model X has a bio-weapons defense mode button (at around 8 min.) that will make the air in the cabin as clean as a hospital operating room. If Massachusetts can get this bill passed, it’s possible my state of Oregon will follow the lead as well as Washington and California. GO CLIMATE XCHANGE!! !